Fill in your details below to get a FREE SAMPLE of 30ml CLEAR Men Cool Sport Menthol. 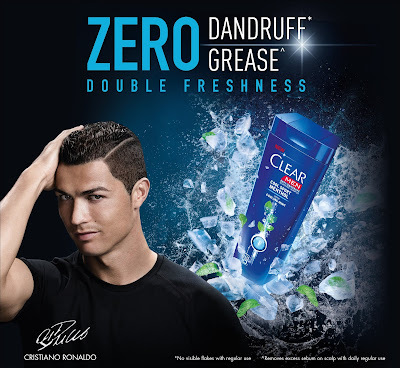 The CLEAR Men 30ml Cool Sport Menthol free sample giveaway is open to all Malaysian citizens residing in Malaysia age 18 and above with a valid Malaysian National Registration Identity Card. The CLEAR Men 30ml Cool Sport Menthol free sample giveaway given during this campaign will only be available upon first come first serve basis while stocks last. Each participant with a valid NRIC number will only be entitled to one (1) free sample. Unilever reserves the right to disqualify any Participant who does not comply with any of these Terms and Conditions or who do not provide complete/accurate details. All samples are awarded “as is” and are strictly not for sale, non-transferable, non-exchangeable and may not be encashed. Unilever accepts no responsibility for samples lost, damaged or delayed in the post due to any other error. Unilever reserves the right to vary, extend, suspend or terminate this free sample giveaway at its sole discretion.